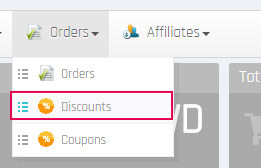 In Backend, could it possible hide the "discount" menu but the "coupon" still show? I can't find any CSS or view PHP to customize it. If I follow you well, you want hide Discount menu from backend for a specific user group, but keep discount functionalities (in frontend). For this I invite you to go to Main HikaShop Configuration menu (in Components => HikaSHop => Configuration) and Access Level tab. 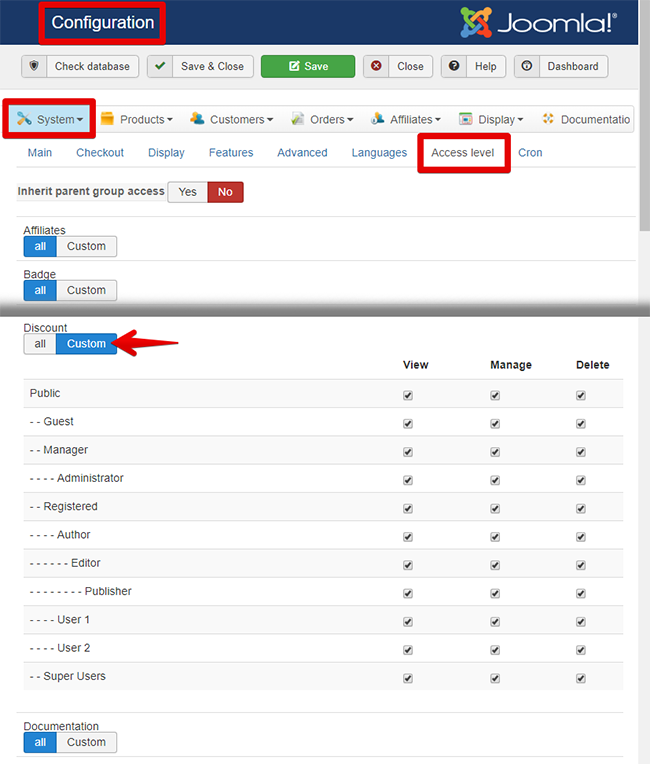 Here, select Discount and click on Custom in order to manage, View access or abilities to delete Discount instances. Maybe to have what you required you have to create a new user group for your specific user. Last edit: 1 year 6 months ago by Philip. I tried this way, the "Discount" and "Coupon" are hide together. Could it possible just hide "Discount" ? In the backend menu? Or could I customize This backned menu display in "Views" ? They are together because it's actually the same interface. It's not impossible to separate them for the ACL settings, but it's a lot of work. While you could remove the discount menu from the menu bar with a view override of the file "default" of the view "discount", it would still allow anyone to directly access it with the right URL if they have access to coupons. It worked, Thank you very much!!! According to your line, I can also hide "Manufacturers" menu like This? Last edit: 1 year 6 months ago by rakuzen.